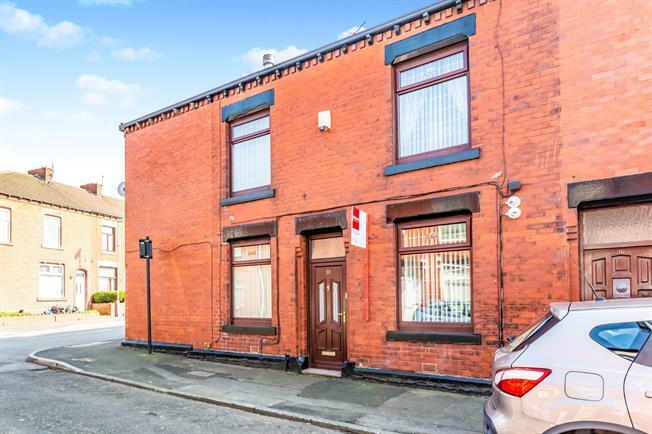 3 Bedroom End of Terrace House For Sale in Oldham for Offers in excess of £115,000. This stunning DOUBLE FRONTED period end terraced offers large living accommodation. With aprox 920sq ft it is deceptively spacious and family friendly. This property is much bigger than expected. Comprising of: family lounge, a separate dining room, a modern fitted kitchen with breakfast bar, three actual good size bedrooms and a lovely family bathroom. Externally there is a small sunny yard with a storage shed. Not to be missed a great price for such a generous size house. Must be seen to be appreciated.